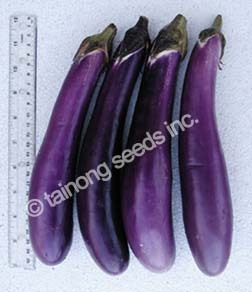 Eggplant 茄子 | Tainong Seeds Inc. Very productive with high yields. Fruits have firm, shiny purple skin. Approximately 9~11 inches long and ~1.5 inches thick. Extra early maturity, very prolific. Best for greenhouse and open field growing. Upright plant habit, medium height. Fruits are long shaped, tender and excellent quality. 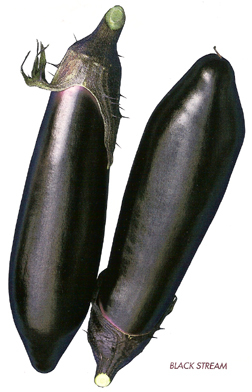 Black color, purple calyx, 220 g each. Very high yielding, exceptionally early variety. Fruits are very high quality and longer than Money Maker No. 2. Recommended for both greenhouse and outdoors. 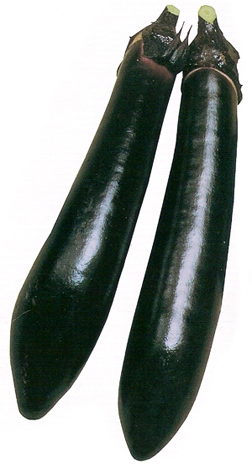 Fruits are long oval shape, tender and excellent quality, black color with purple calyx. ~150 g in weight. 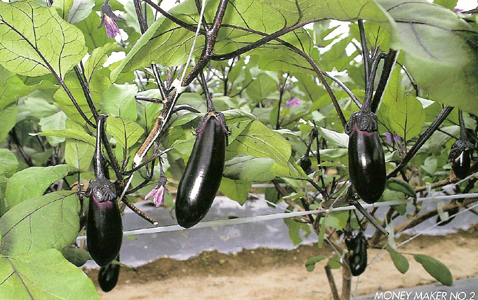 Extra early, high quality long black type eggplant. Good for greenhouse and open field growing. 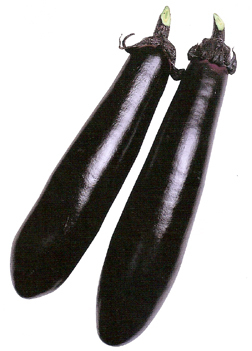 Upright plant habit, fruits are long shaped, brilliant black color with purple calyx, ~200 g in weight. Very prolific, extra-early fruit setting. First-class fruits under both greenhouse and outdoor conditions. Excellent quality, tender and juicy. 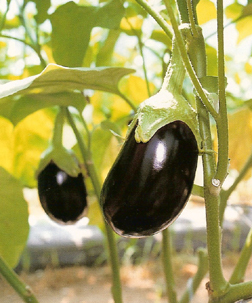 Semi-upright plant habit, fruits are glossy black, long oval shape with purple calyx. ~100 g in weight. Vigorous, early maturity, high yielder. Good for greenhouse and opend field growing. Fruits are brilliant black with green calyx, excellent texture.